Considering a switch to autumn block calving? Despite the vast majority of herds in the UK being all-year-round calving, experts say there are obvious benefits to block calving? Around 80 per cent of herds can be described as ‘all-year-round’ calving, and of the remainder just 8 per cent are calving in an autumn block. However, the financials of a block calving system can be attractive, providing the farm is suitable for the system. As part of its ‘optimal dairy systems’ initiative, AHDB is encouraging dairy producers to review their business and consider if their current production system is right for them. At a recent meeting in Cheshire looking at autumn block calving, James Hague, AHDB knowledge exchange officer for the North, said there were significant competitive gains to be made at farm level by a narrowing of production systems. Is all-year round calving really the best option? Evidence from Milkbench+ and Promar figures suggests block calving herds typically have lower overall costs of production. Spring calving herds produce milk for 2.1-2.4ppl less than an all-year-round calving herd, and the best autumn block calving herds are every bit as competitive. In the case of autumn block calving, higher costs are offset by higher yields and a better price due to seasonality. For autumn block the cost savings have been 1.1-1.3ppl. Speaking at the AHDB-organised meeting, Ian Browne, from The Farm Consultancy Group, said if considering a move to autumn block calving, it was important to think about the reasons for doing it. He said: “Block calving isabsolutely worthwhile, and I would always swing people onto a block calving system, but you have got to ask yourself why you might want to go to an autumn block. “For a lot of people, an autumn block is to suit your milk buyer but I would argue this is not the biggest reason for making a change. You have got to make a decision that is right for you and your business. To move from all-year-round calving to an autumn block Mr Browne said there needed to be a transition period of two or three years, so the start of the calving period can move in gradual steps. “You then want to ‘front load’ all the heifers entering the herd to the start of the new pattern. “You want heifers to calve in the first month of the calving period, so resultant heifers will be well-grown when it comes to breeding from them. 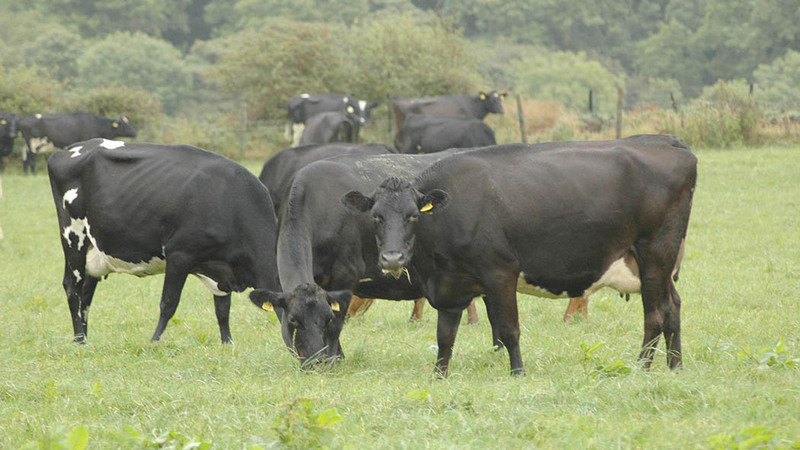 Mr Browne said producers should select and achieve a three-month, or more, ‘no calving’ period and delay serving cows to ‘empty’ this period and front load the start of the desired period.